"If Sartre made a noir flick, he’d have wanted Wayne Horvitz to score it." "This music, as it was on his 2015 release, is pure Horvitz magic, but the harmonic sparseness commingled with sudden sharp melodic rises feels similar to the way the Absaroka Mountains suddenly shoot up from a vast range of farmland, dusted with snow." "Like all the best art, The Snowghost Sessions improves with each listen, vying hard for the top spot on year-end lists that will be rampant before we know it. 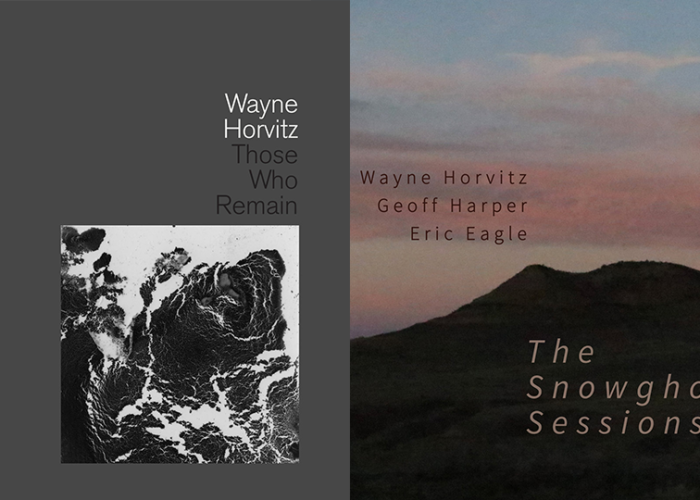 Kudos to Horvitz, Harper, and Eagle, and to Songlines Recordings for this gift."